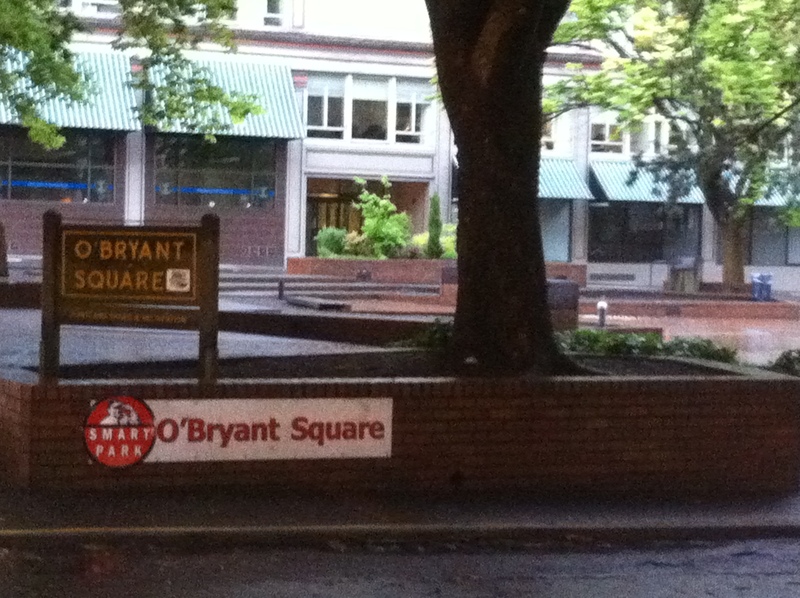 I love Portland – and I haven’t even done anything yet. I’ve only seen the couple blocks around my hotel, but it seems like my kind of city – big enough where there is plenty to do and very liberal and dog friendly. Dogs are even allowed in the cabs here! My hotel is fantastic! It is the Hotel Vintage Plaza, which is a Kimpton Hotel. 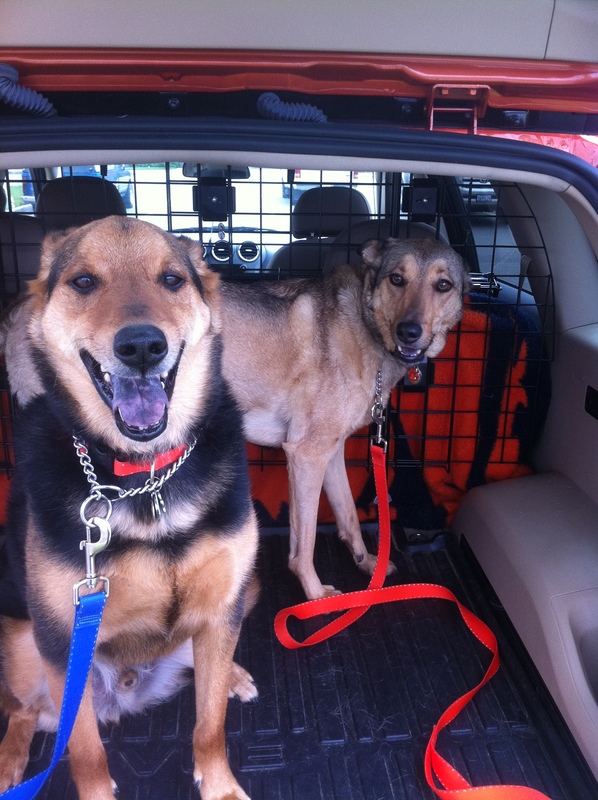 I discovered Kimpton Hotels while online searching for dog friendly hotels. Many hotels say they are dog friendly and do allow dogs, but Kimpton really loves dogs. They do not charge extra and there are no restrictions with size or breed, and they even provide dog snacks, toys and bowls. I became a Kimpton InTouch member and made reservations in various cities for my U2 360 tour across America road trip this summer – Portland, Seattle, San Francisco, Miami, Chicago, Philadelphia. My first Kimpton hotel is the Hotel Vintage Plaza in Portland, and it has greatly exceeded my expectations. 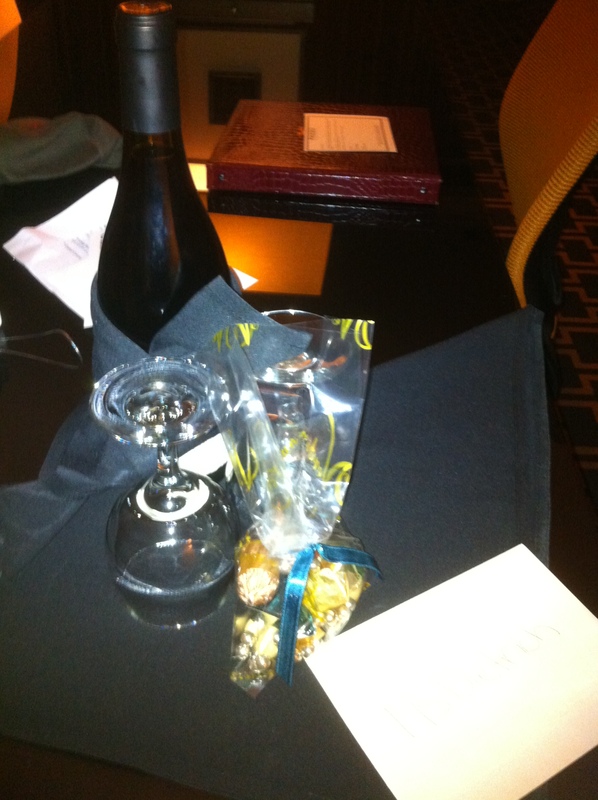 While still in Reno, I got an email from Guest Services Agent Jonathan Garcia welcoming me to the hotel. I returned his email explaining about my U2 road trip this summer and that I was staying in various Kimpton hotels across America. Then I received an email from General Manager Jeri Riggs and Diva of Pet Relations Georgia saying they upgraded me to a suite with free valet parking for the same price I had booked for a standard room. Jeri also made sure I had a refrigerator and microwave and a room on a low floor as I requested, and Georgie wanted to know all about Elvis and Cilla. 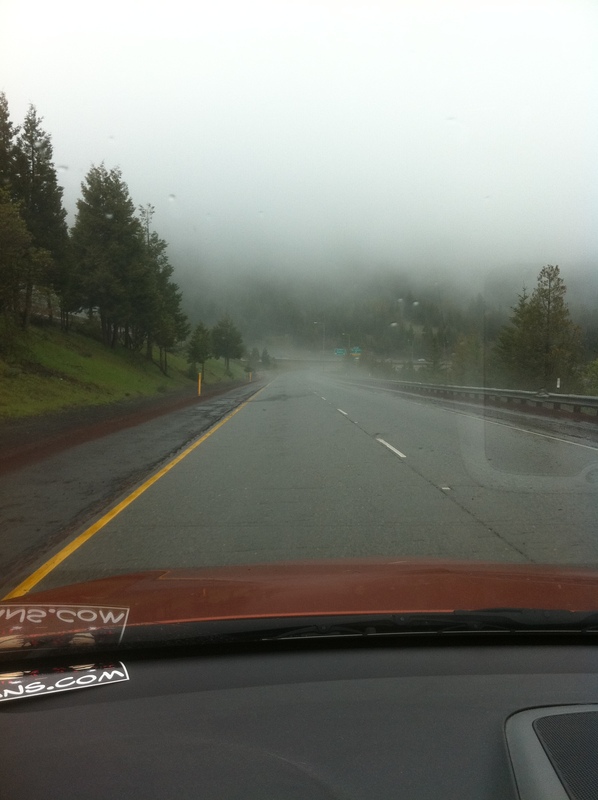 After a long 12 hour 715 mile drive from Reno driving through the rain and fog up and down the mountains, it was such a pleasure to be greeted by a friendly and caring staff at the Hotel Vintage Plaza and to relax in our beautiful luxurious suite! 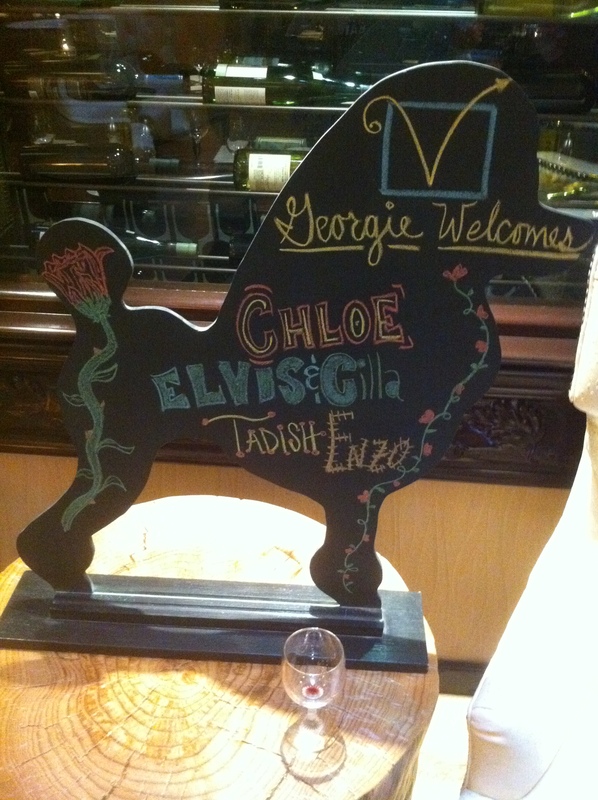 There was even a welcome sign for Elvis and Cilla in the lobby. After a friendly and quick check in, we were escorted to our fantastic suite, the Chehalem, by the extremely helpful valet who parked my car, brought up our bags, hung my coat in the closet and told me how everything in the suite works. I couldn’t believe what I saw in our suite. It is a 2 room suite with a king bed and tv in the bedroom and a sofabed, big screen tv, a few chairs, coffee table, dining table, microwave and refrigerator in the living room. 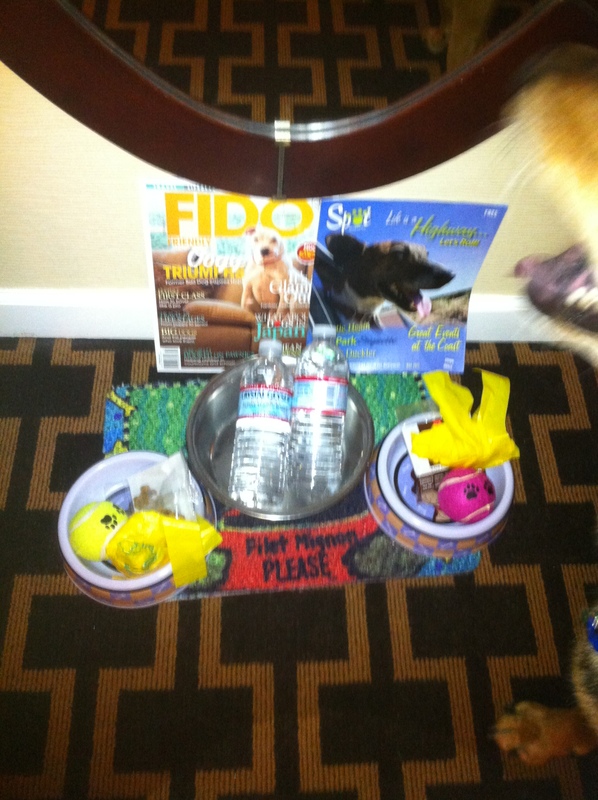 There were treats, toys, bottled waters, and bowls for Elvis and Cilla. There was a bottle of wine and candy for me. There was a hand written letter from Jeri and Georgie welcoming us to the Hotel Vintage Plaza. I also have vouchers for the restaurant and the honor bar. 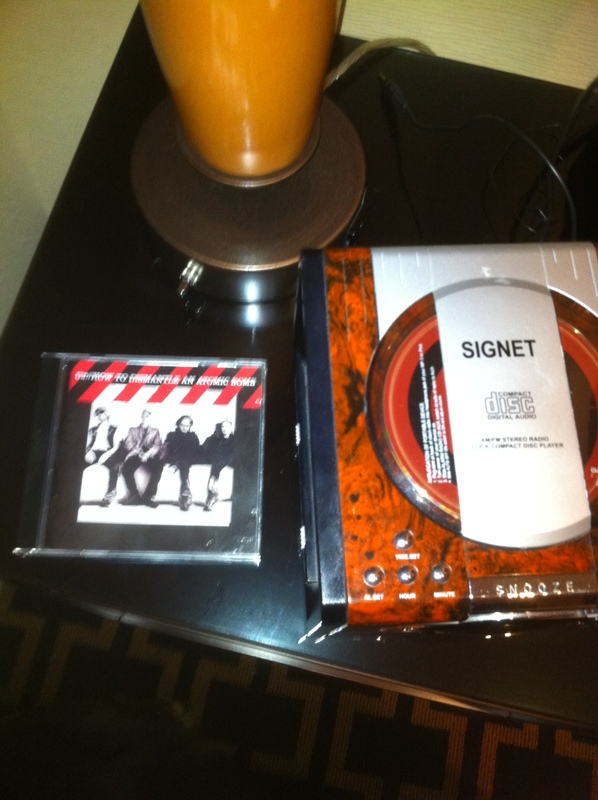 But the piece de resistance was U2 playing in the cd player – thanks Jonathan! I ended my long day with a glass of wine and my leftover pizza I brought from Reno and was asleep in my big comfy bed by 10pm. Even though it’s raining and cool out, I think I am going to love my short time in Portland. Everything I want to see (Powell’s City of Books, Old Town, Pearl District and the 24 hour Church of Elvis) is within walking distance of my new favorite Hotel Vintage Plaza. Too bad U2 isn’t playing in Portland, so I could stay longer, but alas it’s off to Seattle tomorrow. I really enjoyed your “Day 18” piece about your experiences at the Hotel Vintage Plaza in Portland, Oregon. I am quite proud to say that I am Jonathan’s mother! I know that he loves working at the hotel, and strives to make sure that guests are well-taken care of. I hope you enjoy your stay, and the rest of your trip. Thanks! Jonathan couldn’t have been nicer! It was my pleasure! I hope that Portland was nothing less than perfect and that your time with us was unique and will bring you back to the lovely Rose City in the near future. Have a safe trip up to Seattle. If you are seeking a fine dining experience, I HIGHLY recommend checking out Tulio, at our sister property, The Vintage Park. Take care and enjoy the rest of your adventure! Wow, Kimpton Hotels and particularly Hotel Vintage Plaza in Portland sound FANTASTIC! I really appreciate the recommendation in case I ever get to travel in the US with my dog. The staff at the Hotel Vintage Plaza really did go above and beyond the norm and that’s very special in this day and age!